Stuffed Fazoletti. Riccardos. Photo Esther Szeben. Riccardo’s Italian Restaurant opened 14 years ago by brother and sister team, Marco and Sandra. Namesake uncle, Riccardo, passed away before they opened the restaurant, and is the beneficiary of the restaurant designation. I asked a friend about 8 years ago, what the best restaurants in the West Island were and she claimed Riccardo’s for Italian cuisine. I threw it in the bucket and finally had an opportunity to try this trattoria. This is a lovely little dining room; even on a weekday night, they were busy. I called to make reservations a few days before and Sandra assured me that I wouldn’t need reservations for two people at 6 p.m. on a Thursday. Though they were busy, they had room for walk-ins. Fazoletti. Riccardo’s. Photo Esther Szeben. Like most Canadians, I love my pasta! Growing up in a prominently carnivorous house, I didn’t get to eat a lot of it and when I did, it was spaghetti served with a homemade Bolognese style sauce. When I discovered alfredos, arabiattas and primaveras, a whole new world opened up to me. Gamberi a la Sylvana. Riccardo’s. Photo Esther Szeben. 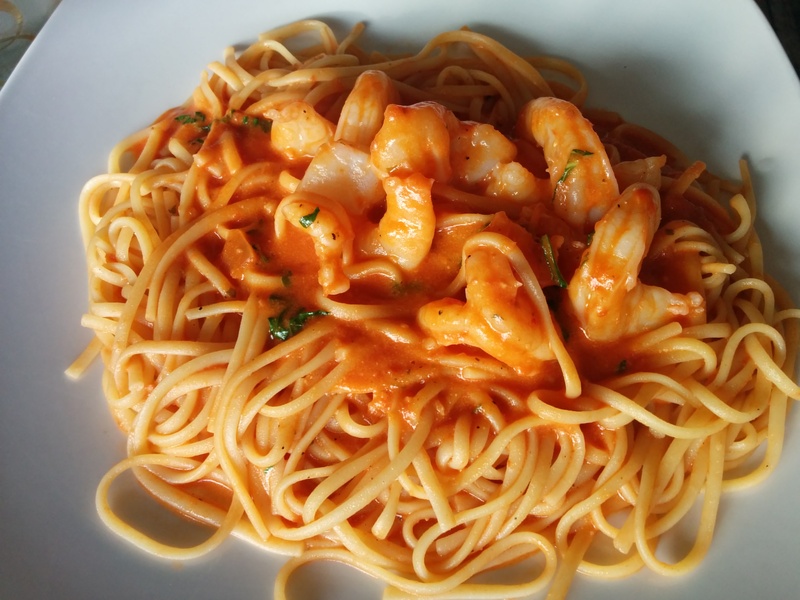 My companion was in the mood for seafood and ordered the Gamberi a la Sylvana, a rosé sauce, white wine, with basil and shrimp ($17). She enjoyed her meal and was full by the end of it (though I cajoled her into ordering dessert with me). I was feeling adventurous so I ordered the Fazoletti ($14) which I had never heard of. Stuffed with a choice of spinach and ricotta or meat, I ordered the former. 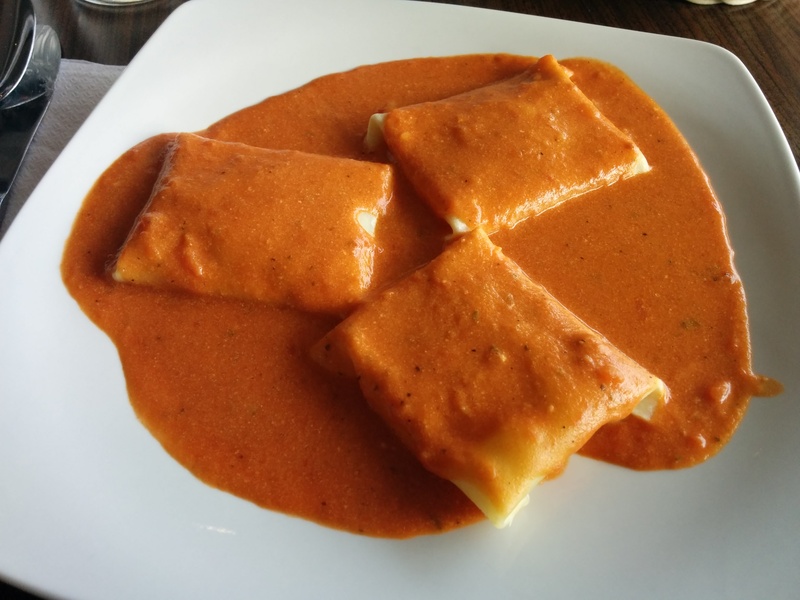 It is essentially three large ravioli with sauce. The plating is simple, no garnish and not filling on its own. I should have ordered an antipasti to start. A neighbouring guest had the grilled octopus in a balsamic reduction ($16) which looked substantial and amazing. I should I have split that with my friend before my main course. Divine Key Lime Pie. Riccardo’s. Photo Esther Szeben. Majority of their desserts are from Daboom. 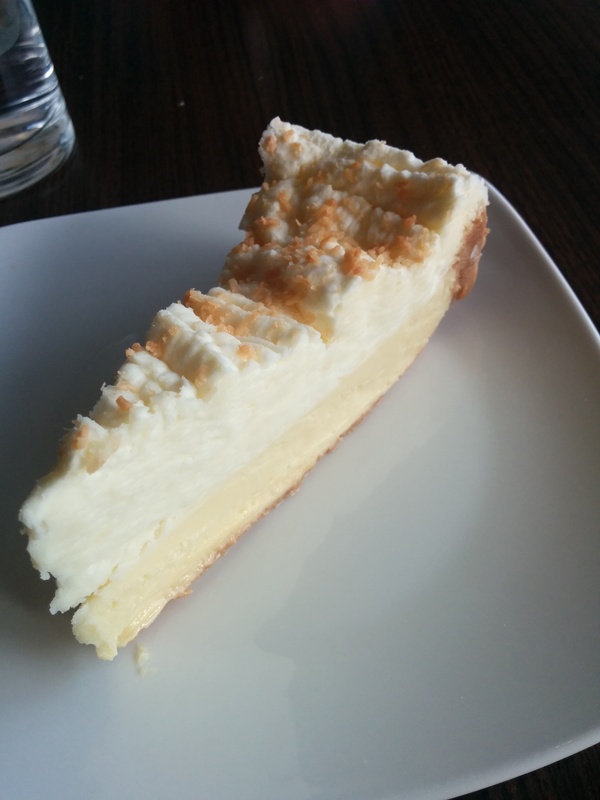 I ordered the Divine Key Lime Pie ($7), a graham cookie crust filed with a tangy key lime filling resembling a cheesecake, topped with whipped cream. It’s not a large piece but looks are deceiving as I only had four bites and brought the rest home. 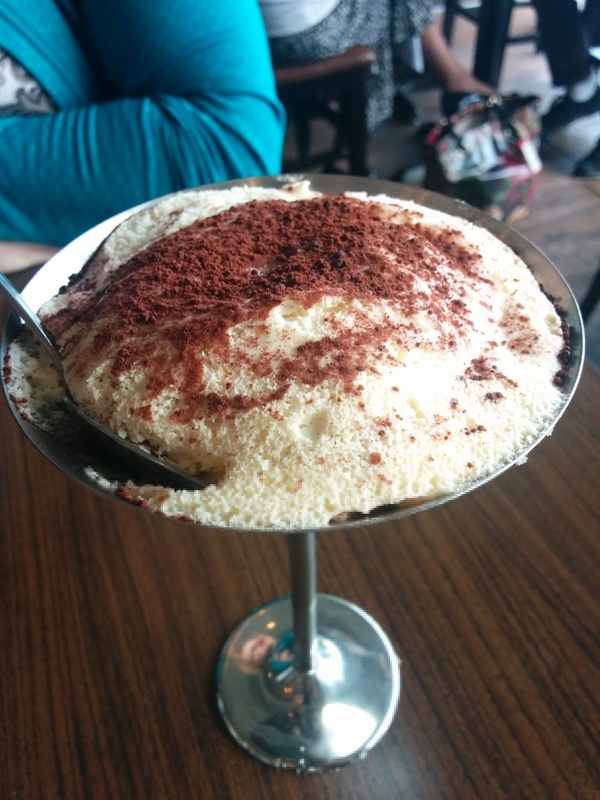 My friend was wise and went traditional with a Tiramisu made in-house by Sandra and Marco’s mother. Served in a cup, its presentation is elegant and the taste is exquisite. Not too heavy on the liquor, subtle enough to taste the coffee. Homemade Tiramisu. Riccardo’s. Photo Esther Szeben. Overall: very friendly service, and an extensive menu so if you were raised by carnivorous people, there is something for everyone including chicken, veal, and hearty meatball sandwiches. Perfect for all manner of company from family, business, friendly or romantic. Riccardos is located at 4071 Blvd. St. John’s in D.D.O. Call (514) 620-3477 for reservations. Closed on Mondays, Open Tuesday 11 a.m. – 9 p.m., Wednesday-Friday 11 a.m. – 10 p.m. Saturday-Sunday 4 p.m. – 10 p.m.